By Melissa Lennig on August 12, 2017 1 Comment. This content contains affiliate links. As an Amazon Associate I earn from qualifying purchases. 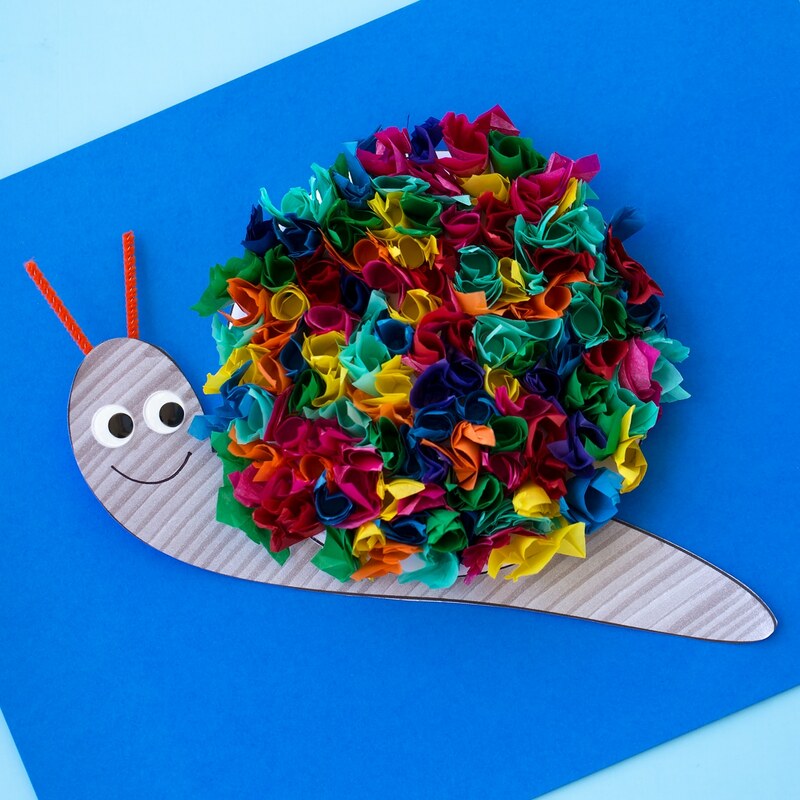 Inside: Tearing paper is an awesome strength-building fine-motor activity for little hands. 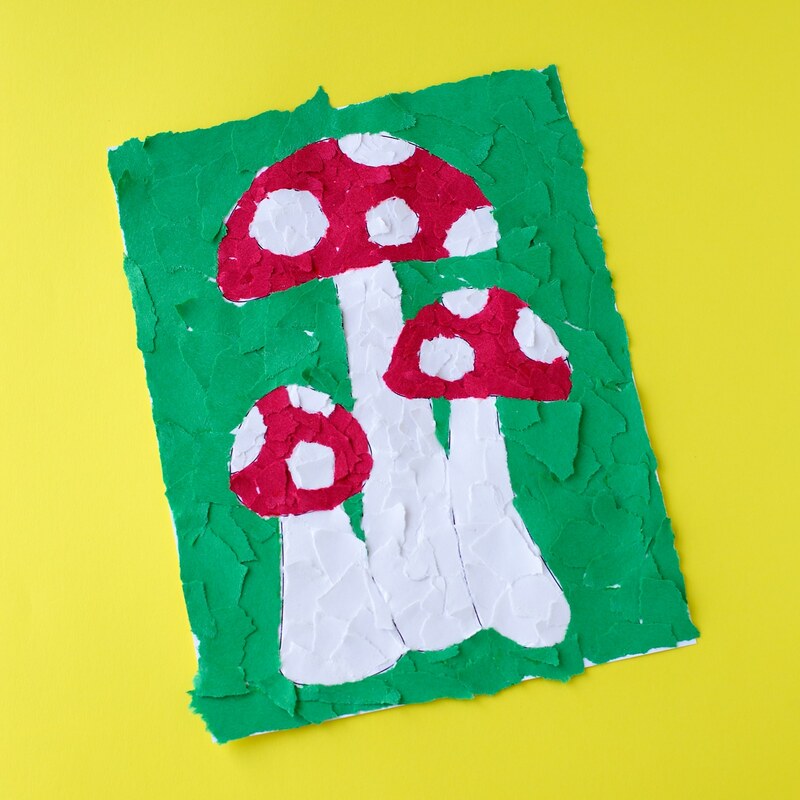 In this post, learn how to make vibrant torn construction paper mosaic mushroom art. This post includes a free printable template, making it perfect for home or school. Last week, it rained…and rained…and rained. After what seemed like forever, the sun stretched through the clouds and summer returned. 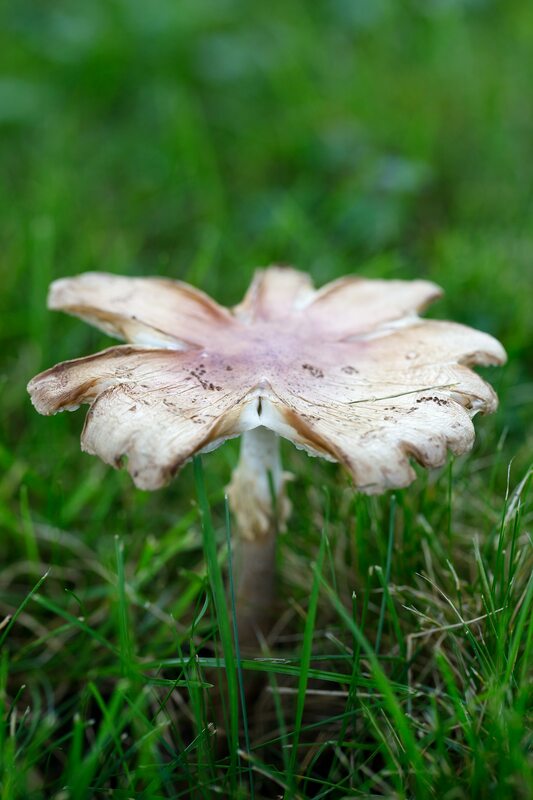 When my kids and I went outside, our backyard was covered with mushrooms. We were amazed by the diversity of shape, color, and texture! 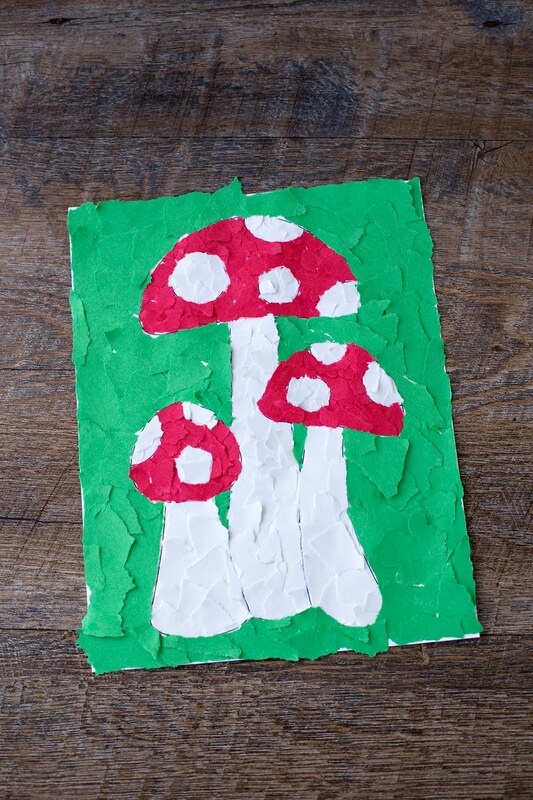 Inspired by nature, we decided to make our own mushroom art at home. Our printable template can simply be used as a coloring page, but we really enjoyed using torn construction paper. 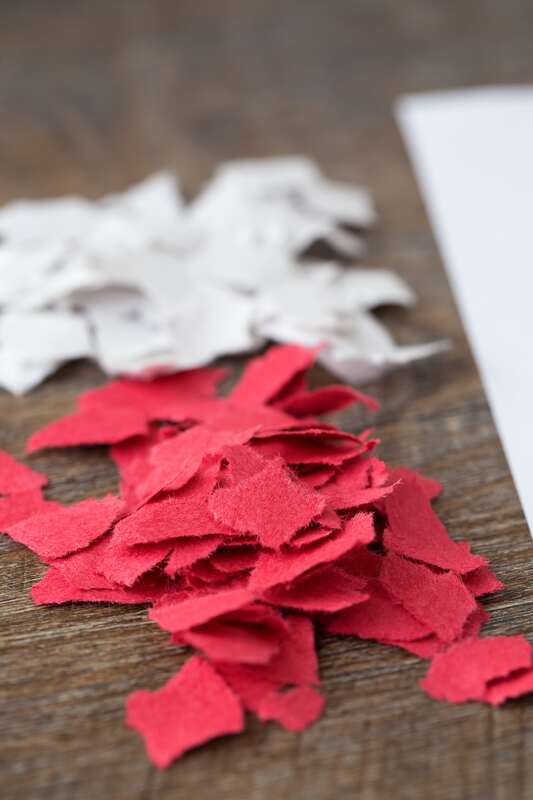 Tearing paper into small pieces can actually be quite challenging for kids! It’s a great way for kids ages 3–7 to strengthen tiny finger muscles needed for writing and other important fine-motor tasks. 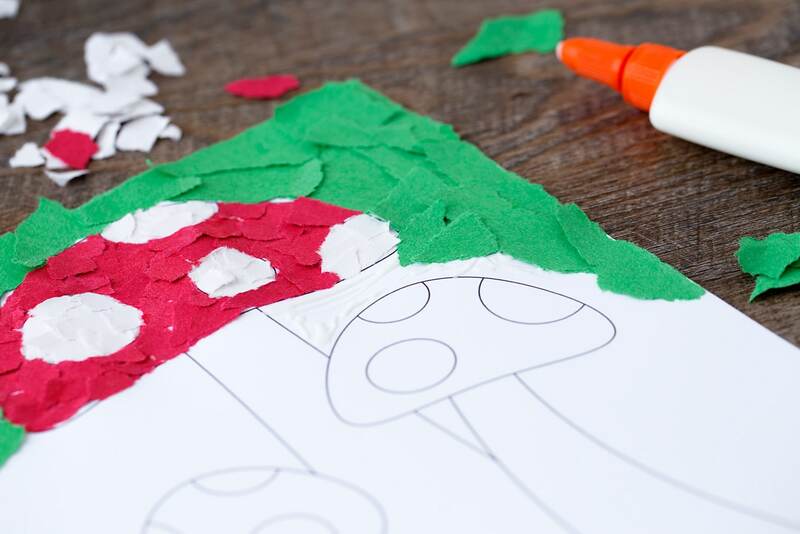 Invite kids to rip construction paper into small, mosaic-sized pieces. 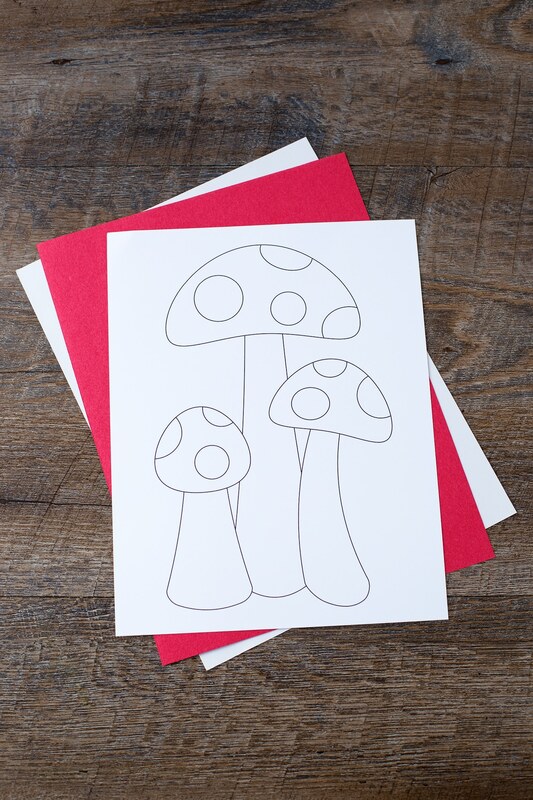 We chose to make classic red and white toadstools, but kids can get creative and choose whatever colors they wish! 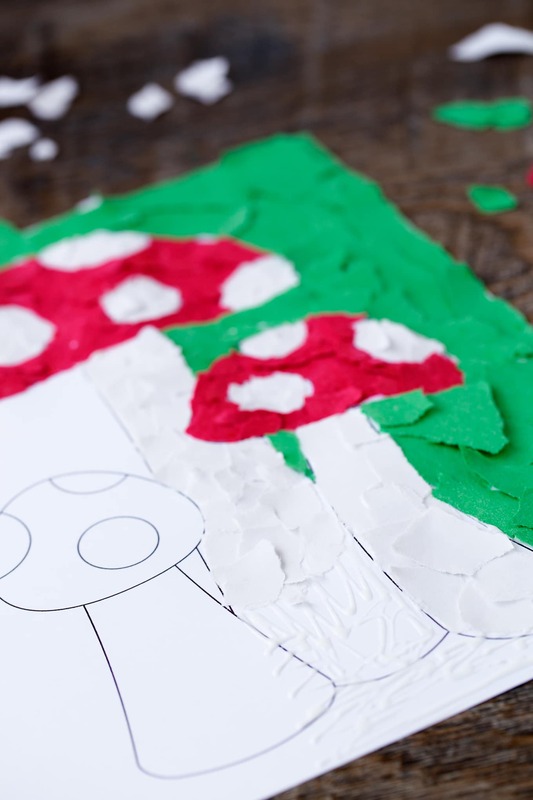 Use the brush to paint glue over the mushroom template, then show kids how to fill in the lines with their torn paper. 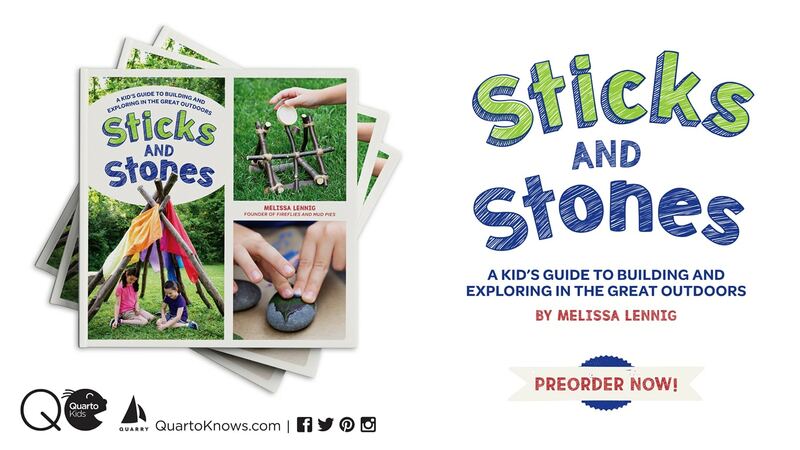 Invite kids to work slowly and thoughtfully as they cover their paper. This activity is very relaxing! I highly recommend playing classical music in the background, as it will help kids get into a mellow work rhythm, and you may get a little much-needed quiet time in your home or classroom. Isn’t it pretty? 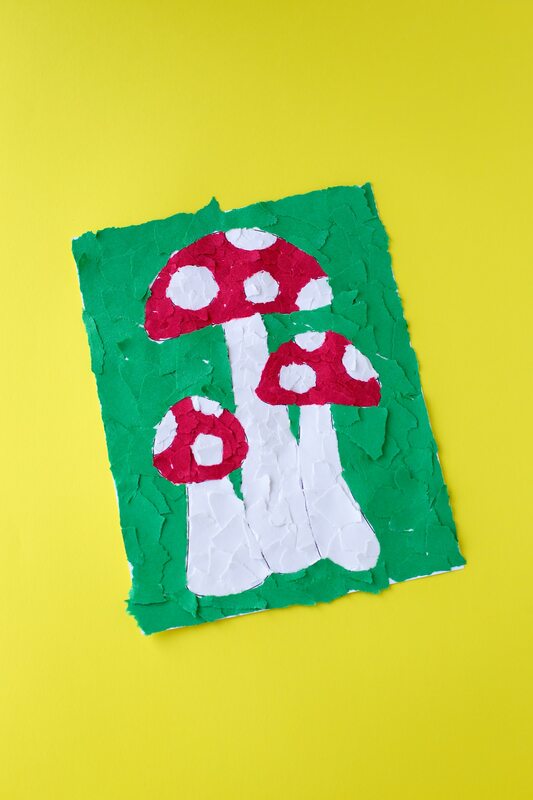 It would be fun to see an entire bulletin board of brilliantly colored mushrooms made by kids! 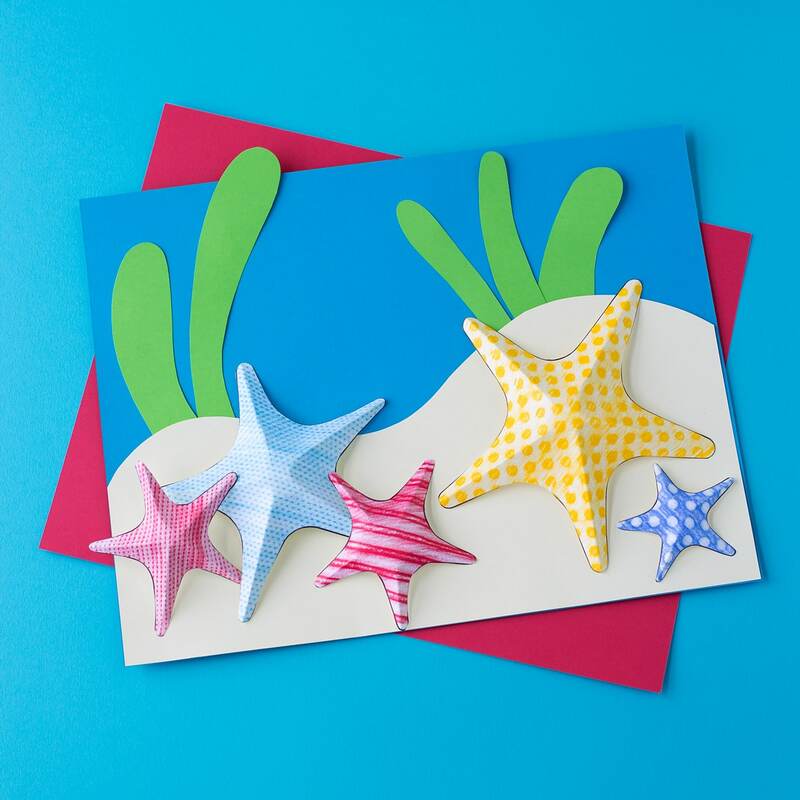 If you liked this craft, be sure to check out some of our other popular printable crafts! Just awesome. Gladly would use these learning materials!